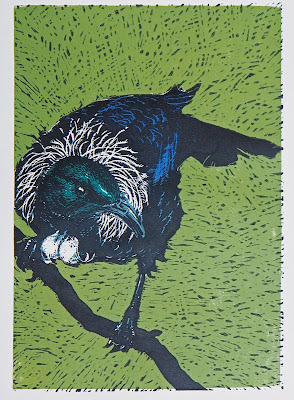 "Tui Song" Multi colour lino print 2018. 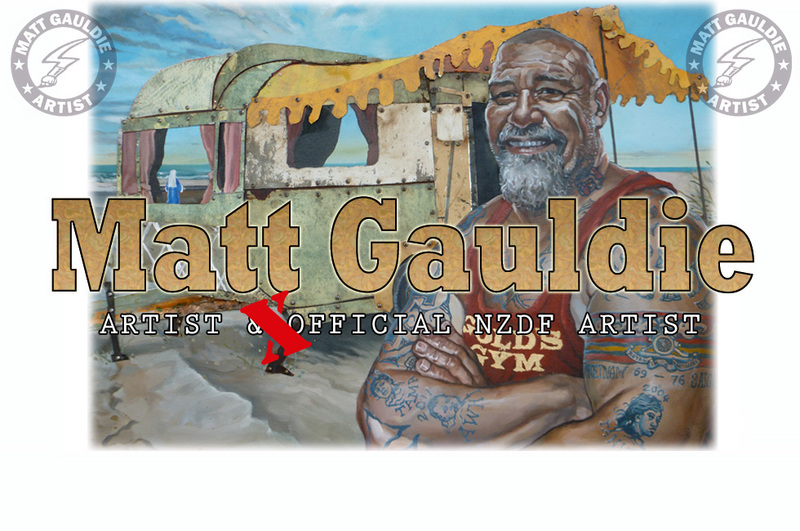 Ltd Edn 35 (image 30x41cm) $275 Free NZ Postage handmade by Matt with 280gsm BFK Rives French paper. 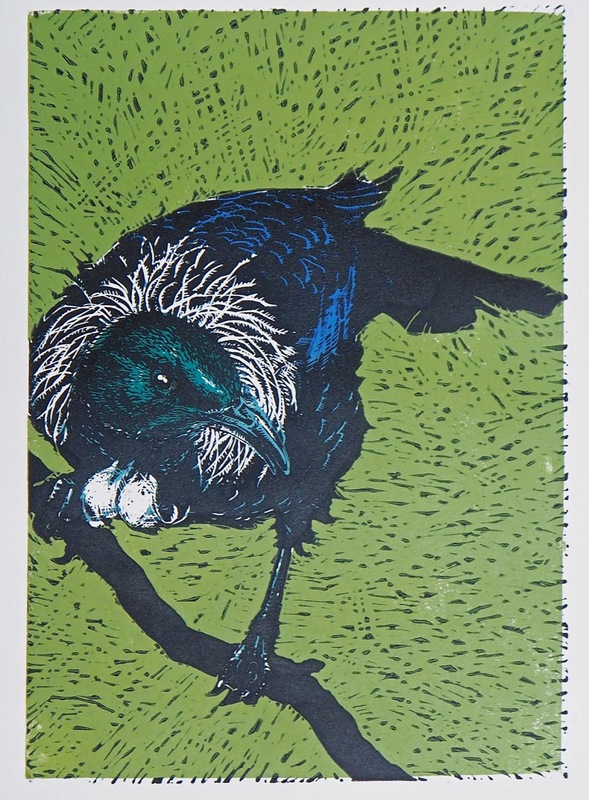 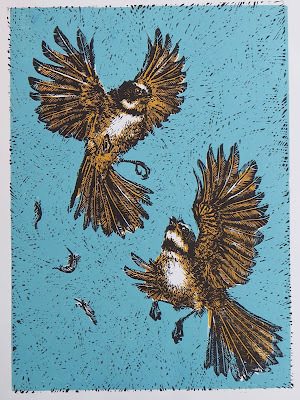 "Piwakawaka Dance' Multi colour lino print 2018 Ltd Edn 35 (image 30x41cm) $275 Free NZ postage. handmade by Matt with 280gsm BFK Rives French paper.